We all have history, a story and baggage we sometimes carry from making foolish or misinterpreted choices in relationships. Throughout all those moments, we learn a sophisticated system of defense mechanisms that began as a child and sharpened and honed as we maneuvered through our feelings of loving ourselves and loving someone else. Most of our defense mechanisms were developed in childhood; from the moment that we realized crying would get us the attention we craved. Passive aggressive ways of communicating may have allowed us to get what we needed without being scolded, punished or laughed at, so we learned to avoid being direct and honest. We all have defense mechanisms that we’ve developed over time, often without being aware of it. Most defense mechanisms are fairly unconscious, not realizing we’re using them in the moment. In times of trouble, those defense behaviors that have helped us work through challenges with the least amount of pain are usually what we repeat in every relationship, even when part of us knows they not are not emotionally healthy nor do the relationship any good either. But at least, the hurt will not be as deep or decimating as possibly in the past, so you do what will keep you emotionally guarded and safe from that intense hurt. For example: In alcoholic or drug addictions, we continue on with the destructive behavior, not knowing exactly how lost we have become and how much damage your addiction has done until we seek help and realize how unkind we have been to ourselves and others. Those same rules apply with emotional defense mechanisms that we unconsciously use in love relationships. Before we even realize it, we find ourselves being defensive over something insignificant, jealous or untrusting over something that is inconsequential in the big picture of two people loving each other because of past behavior. Listed below are some behavior characteristics of the defense mechanisms we use to protect ourselves from being hurt in relationships. To change that behavior, you must first recognize it and then be proactive about why you are being defensive and does it have any validity? From there, you can make the first steps needed to become more trusting and loving with your partner or future partner but most importantly, with yourself. Overcompensating. We overcompensate in relationships to distract from areas where we feel we have shortcomings. If we feel socially inadequate, we will try to razzle, dazzle them with all our friends and parties. Rationalization. Rationalization is a way of making excuses to avoid getting hurt. We rationalize being with the wrong person and excusing their bad behavior because we don’t feel strong enough to be on our own or this may be the best you can get. Emotionally Unavailable. We put up walls around our heart to avoid letting our partner know how we really feel in fear of what will really hurt us. The downside to that is, in a trusting relationship, it is usually what will make you very happy also. This is where we put up walls around our emotions to avoid letting our partners get too close. Acting Out. You start arguments over nothing to keep the drama going. This distracts from our fears and keep the attention on a tiring cycle of fighting and then making up. You can only do that so many times, before someone will wear out. Avoidance. Usually after an argument, you will avoid taking calls or texts. Sometimes viewed as a punishment but it really is not having the skills to deal with conflict or confrontations. Denial. We deny there is any problem and just hope the issue will go away on its own. It usually grows out of proportion and unless addressed, will become something bigger than either of you can handle. Projection. Putting a scenario of a negative outcome to a situation and dwelling on the emotions of it. You put your negative thoughts, feelings, outcomes or impulses onto another person. No one can predict how someone will react to any situation, so projection is assuming that you do. We all have those buttons that get pushed and those defenses come up before we are even aware of it until an action or word has been misinterpreted and we put those walls up. 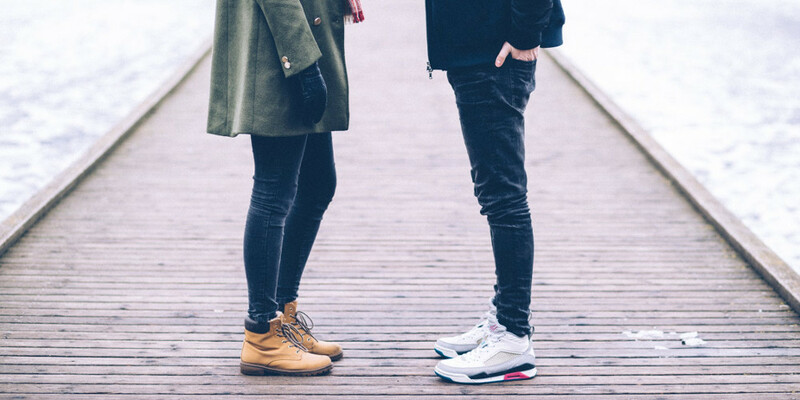 We can change those automatic responses by first being aware of them and then being pro-active about consciously changing our beliefs and responses so we react differently instead of a knee jerk response to the ego’s insecurity and fear in relationships. Previous ArticleThe “Not Enough” RelationshipNext ArticleThink You Were Born With a Psychic Gift? This is exactly what I need for guidance at this present time in my life. Thank you for the positive response on the article on Defense Mechanisms In Relationships. We love sharing information that will help our valued 7th Sense Psychic clients. For a more personal viewpoint, contact one of our amazing readers for help and guidance.